Frustrated with looking at magazines for kitchen ideas because you don’t know how to recreate the look on a budget? I think there is a lot to learn from glossy magazine photos! Creating a beautiful room isn’t about copying the entire space, buying expensive appliances, or installing marble counters on top of custom cabinetry. It is about finding doable details that contribute to the look. It just takes a little practice. A room doesn’t have to be an exact duplicate to have the same feeling. Come along with me and see what I see when I look at some of my favorite white kitchens! Here are my five take away tips! 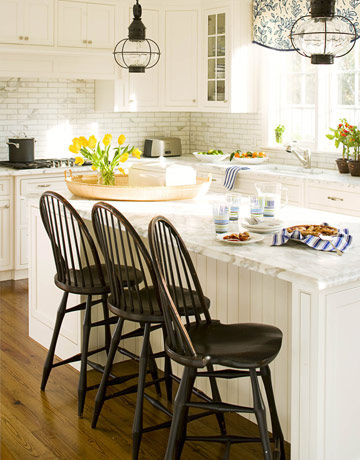 The contrast of the white counters and cabinets with the black stools and lanterns really make this kitchen special. A simple patterned valance gives just enough softness at the window (above). The unexpected pop of color in the cabinet gives this white kitchen some added pizazz. Throw a striped rug near the sink, spray paint your current knobs black. and you have recreated the feeling for less! This kitchen gets a lot of its personality from painted black window panes, black open shelves and a striped rug on the floor. You can do this! Recreating this kitchen exactly would set you back a pretty penny. But you can capture the ambience with a couple of woven stools to mix things up and the unexpected framed oil painting above the sink. Again black chairs give added weight. For a lot of personality, show off a collection of white dishes on open shelves and above cabinets. 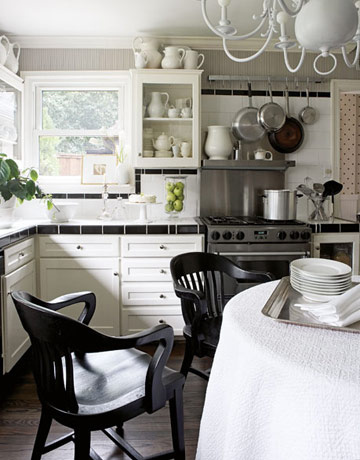 Hanging your pots and pans in plain view is pretty and practical. Spray paint your chandelier white! 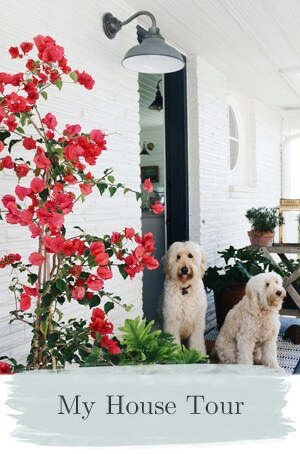 Those are some gorgeous kitchens – I love the last one especially…so cozy! Really great tips! Just redid my kitchen white! LOVE it!!! And love your site :). So inspirational! So true! The pop of color inside the cabinets is my favorite from these… I’m seeing my beige and white things against a pale aqua or turquoise background. I’m Julias inspiring blog post..Whatcha’ readin’? I love white kitchens! Those are all beautiful pictures! I’m just impressed that you write so well while on drugs :- and come up with such great posts….hey…if for some crazy reason you’re still in portland recouping…i come this next saturday…. I am loving these white kitchens. I plan to do that to my kitchen at some point. Thanks for the post. I’m addicted to white kitchen photos – these are beautiful. I did my kitchen in white cabinetry with white marble countertops, but added contrast with butternut colored island with a walnut wood top. White brick pattern tile and stainless appliances too. Love the tips you gave – you have a great eye ! Kate at Centsational Girls inspiring blog post..Art Photography GIVEAWAY! 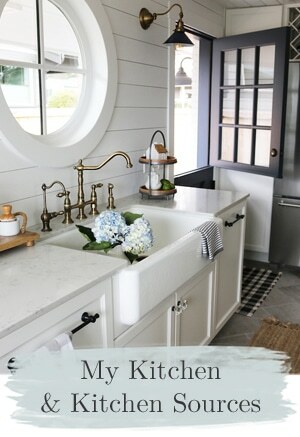 Great tips and pretty kitchens! I’ve had a white kitchen for about 8 years now and can’t imagine going back to anything else. Hope you’re feeling better Melissa! Loved this post, I’m yet to get to my kitchen, I’m still working my way around my loungeroom, I think a few of your trips will help me with my loungeroom, I guess they don’t just have to be for the kitchen – thankyou!! Be still my beating heart! I think I should start sending you the money I save by not buying so many house magazines these days; I get my fix here and at your friends’ houses! 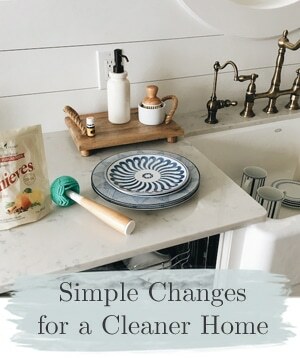 I have a tired, white kitchen; this post has given me just the boost I need to love it back to life and restore its twinkle. Thank you! White kitchens really are beautiful. I love the green paint inside those cabinets. It seems like a great way to add a little fun to the room. Thanks for posting those photos. I must say I’m love with white kitchens. They look bright and happy to me. Astrids inspiring blog post.."Big Rock Candy Mountains"…. Thanks for this post! I am re-doing my kitchen right now and I wanted to do white but hubby was skeptical. These photos will help me convince him. :) I am planning white cabinets, open white upper cabinets, white subway tile and a black island. Hmmmm! Annies inspiring blog post..True or False? GREAT tips!! LOVE white kitchens. So lovely! 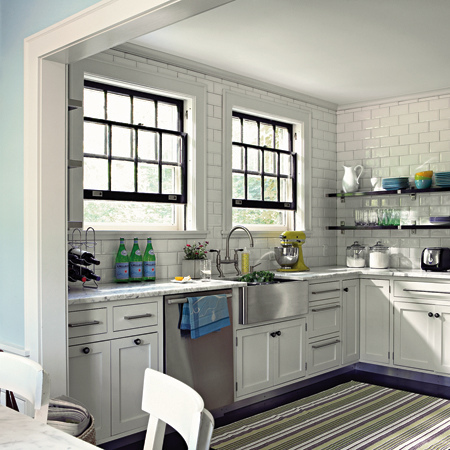 Love the freshness and inspiration of a white kitchen! Melissa, I agree about the magazines. I may not like the entire room, but I will often come away with a usable idea or two. Sometimes the articles just make me think outside the box. I love the look of a white kitchen, but know deep down that I love color more. Hope you are feeling better. I love these kitchens too! My biggest regret about my kitchen is that I have dark wood cabinets! White is so much prettier. I would have had to pay about $3000 more for them and yet right now I would be so much happier. I love the idea of painting the chandelier white! I have that exact chandelier and I am gonna do just that when I get a chance. I love beadboard too! My island is beadboard and white and so is my backsplash. I love white and black! Heather Odehs inspiring blog post.. 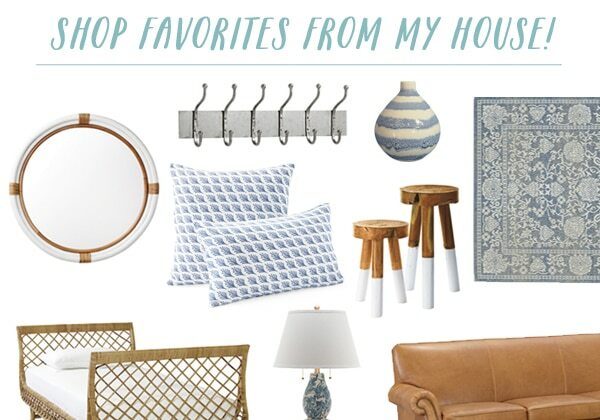 These images and ideas are fabulous…you hit a bull’s eye. Another idea that I have for all white kitchens is to add a piece of furniture in a natural wood such as pine. It will add a warmth and depth to an all white space. Oh, to start my morning in any of those bright cheerful kitchens! 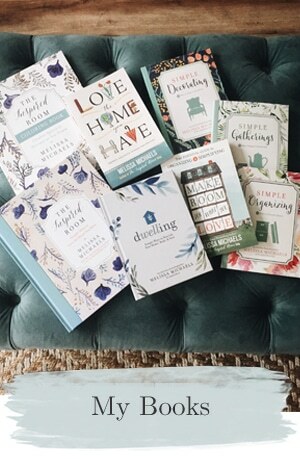 Jeanne @ Inspiring Ideass inspiring blog post..Book & Art Print Winners! I love, love, love white kitchens! I want to do white! But I’m afraid of little hands on it. Great tips! Thanks. I Loved this post. I would love to see more in this vein. I still have to develop the ability to stop being jealous of those glossy pictures and learn how to pick up the tips that I could use to ‘get the look’. Perhaps seeing more posts like this will help me get there. I learn so much here- love it. Not sure how you keep up with everything, feeling the way you do right now. And thanks for having such a great place to come visit in the morning. Good day to you!! What great ideas. I have been on a white kick for some time now — so Summer .. so fresh. Love it. 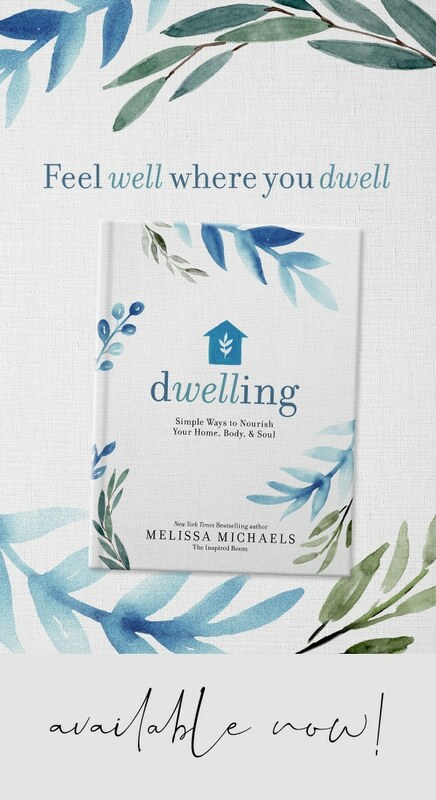 You are keeping yourself mighty busy, Melissa! Love this post and found lots of things that I can apply. I’m still thinking about the black kitchen that you featured awhile ago, too. This was a fabulous post for me. I want to paint my kitchen out white and have been looking for inspiration so it doesn’t end up looking sterile. I so love a white kitchen. I already have the black and white toile Roman shades up, so the first picture, especially, spoke to me. Thanks for the inspiration. Pams inspiring blog post..We’re Baa-aaack! Love the black window muttons!! Wow did that stand out. I love these great ideas-it is easy to get discouraged sometimes when looking at magazine phot0s, so these tips are great. Thanks for sharing! I always love a white kitchen! The first is my fave with the blue floors and green inside the cabinets. LOVE the horizontal siding! Awesome. I have this tall pub table that I bought at a garage sale. In my eye, it looks like it should be white! The two stools that I have to go with it were blond and I just painted them black last year. Looking at your photos…I think it’ll really work to leave them black! Thank you….and I have some other thoughts now…from the pics! You are so right! We can be SO inspired by those magazines! I love your take aways. This blog truly is inspiring. I love these “take away” tips. You should do those a lot or have a series or something. Those simple things that I know I ‘noticed’ but didn’t know how to incorporate in your simple ‘take away’ tips were perfect. I love this site. The take away tips are fabulous. I like simple and you make it so easy for me to get really good ideas on how to stage houses to sell in Real Estate. I am finding myself going to your site more and more even though I am very busy. Thanks for all the good tips. 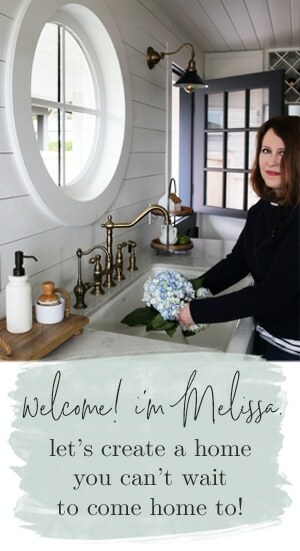 Great ideas Melissa! I’m drooling over these kitchens! Hope you feel better very soon. Take care! Good post indeed! Thanks for sharing such nice information. I love white kitchens too, and those you featured are all outstanding. Thanks for the take-away tips. I’ve learned a lot from my visits to your blog. .-= joanie´s last blog ..Caregivers’ survival, part II =-. We are moving Dec 31st from a 5 year old house to a 25 year old house that needs lots of work. I love all your advice on kitchens, because I’ll tackle it first! I’m digging through the archives! !